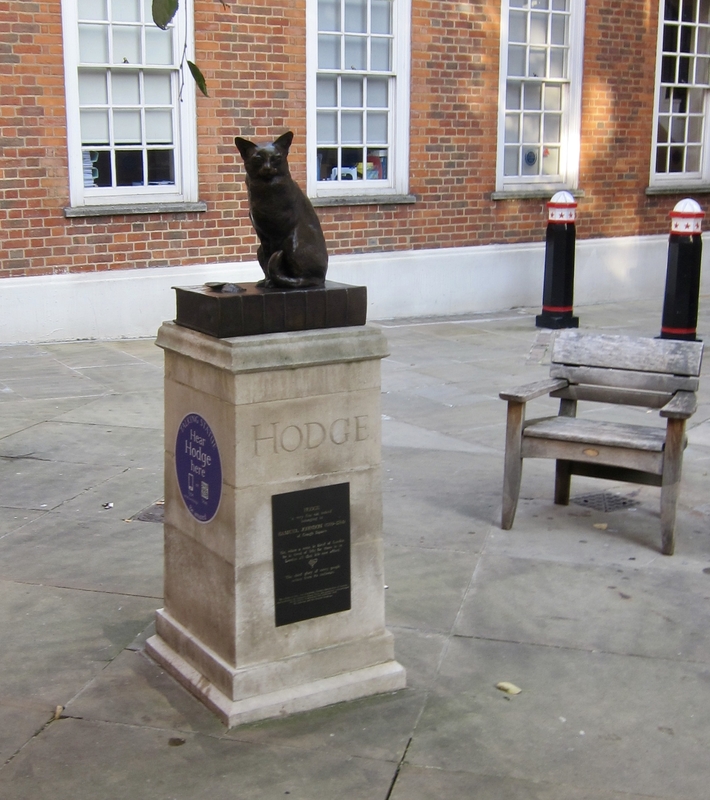 Photo: Dr. Samuel Johnson's Cat: Hodge - "a very fine cat, indeed"
Caption: Dr. Samuel Johnson's Cat: Hodge - "a very fine cat, indeed"
Additional Description: In the courtyard in front of Dr. Johnson's house there is a monument to his cat, Hodge. From his (the cat's, not Johnson's) Wikipedia entry we learn that: "Hodge (fl. c.1769) was one of Samuel Johnson's cats, immortalised in a characteristically whimsical passage in James Boswell's Life of Johnson. Although there is little known about Hodge, such as his life, his death, or any other information, what is known is Johnson's fondness for his cat, which separated Johnson from the views held by others of the eighteenth century." Submitted: July 25, 2018, by Andrew Ruppenstein of Sacramento, California.